Calling Dalry parents, family and friends -Help Needed! Do you have a skill or talent that you would like to share with a small group of pupils? Could you commit 1 hour on a Friday for 3 weeks? If you have skill, talent and enthusiasm in these areas, or indeed and other areas that you would like to share, please contact Mrs Mason. This entry was posted in 2016-17 Classes Archive, Masterclasses, News, Primary 1A 16-17, Primary 1B 16-17, Primary 2A 16-17, Primary 2B 16-17, Primary 3 16-17, Primary 4 16-17, Primary 4/3 16-17, Primary 5 16-17, Primary 6A 16-17, Primary 6B 16-17, Primary 7 16-17 on Jun 22, 2017 by Dalry Primary Edinburgh. During creativity week P4 took part in lots of dance classes, art and other creative activities. They also got creative by making their own games. This entry was posted in Art, Primary 4 16-17 on May 4, 2017 by Dalry Primary Edinburgh. 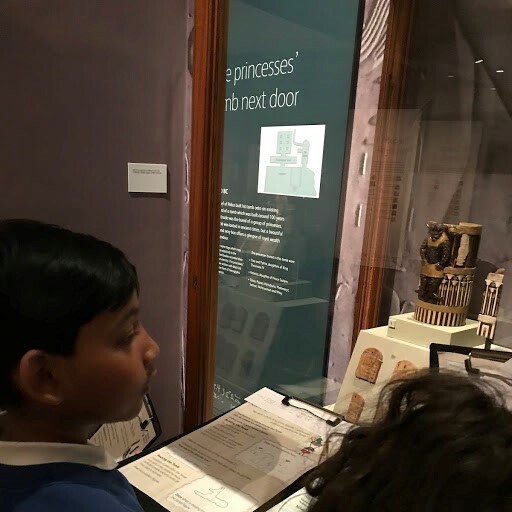 During our visit to the National Museum of Scotland we enjoyed learning all about the tomb of ordinary Egyptian people, a police captain and his family. We looked at coffins, shrouds, statues, amulets and other amazing artefacts. Following that we had a great time taking part in a “Death in Ancient Egypt” workshop. We tried out some gory mummification techniques and held some ancient objects, the oldest being 3000 years old! If you want to know more about the exhibition you can visit the museum website. What a super way to finish up our topic. We are all budding Egyptologists now! 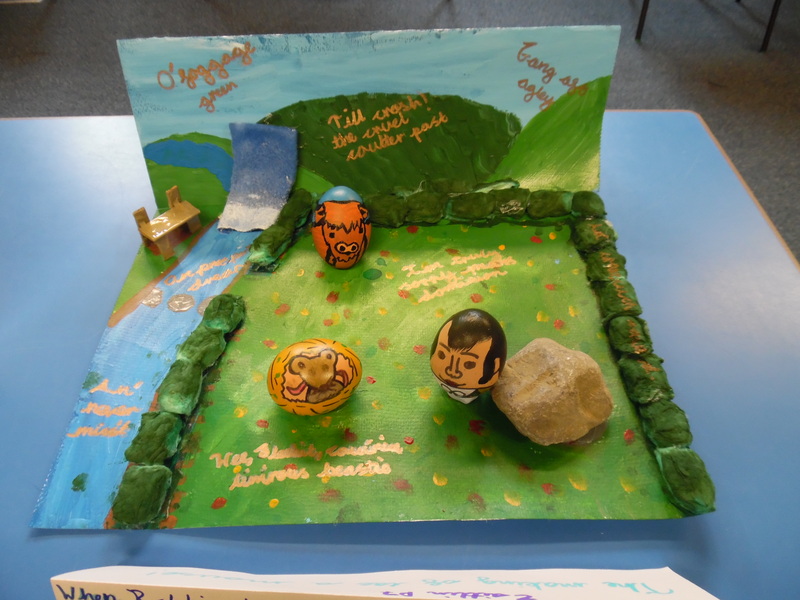 This entry was posted in News, Primary 4 16-17 on Apr 24, 2017 by Dalry Primary Edinburgh. P4 returned from the Easter break to some great news. Our very own Amber Webb has become the first pupil from Dalry Primary School to ever make it through the first round of BBC Radio 2’s 500 Word Competition! If you want to know more about the contest you can read about it on the BBC website. We were so excited to hear that out of 131,798 entries, hers was one of 5000 chosen to go through to the next round. Well done Amber and good luck! 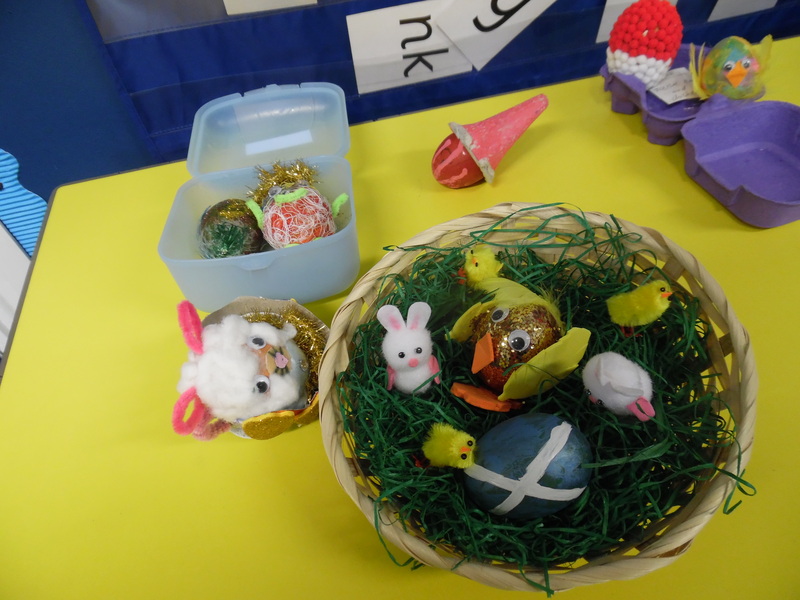 We really enjoyed admiring the many creative entries into our annual Easter egg decorating competition. Well done to everyone who took part in this creative home learning project. The theme of heritage was creatively interpreted by so many of our pupils. This entry was posted in Nursery News, Primary 1A 16-17, Primary 1B 16-17, Primary 2A 16-17, Primary 2B 16-17, Primary 3 16-17, Primary 4 16-17, Primary 4/3 16-17, Primary 5 16-17, Primary 6A 16-17, Primary 6B 16-17, Primary 7 16-17 on Mar 30, 2017 by Dalry Primary Edinburgh. 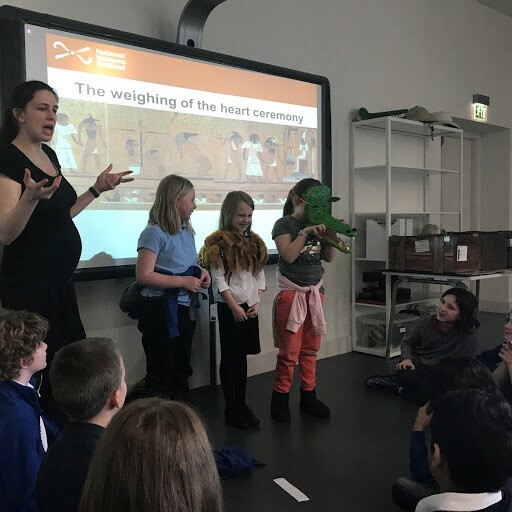 P4 have been learning the gory details about death and the afterlife in Ancient Egypt. The children worked in small teams to design and build a tomb, complete with sarcophagus, mummies, items needed for the afterlife and any added extras to make their creation stand out (one group even added a scorpion for effect!). Everyone worked well together and had a great time designing and building their work. 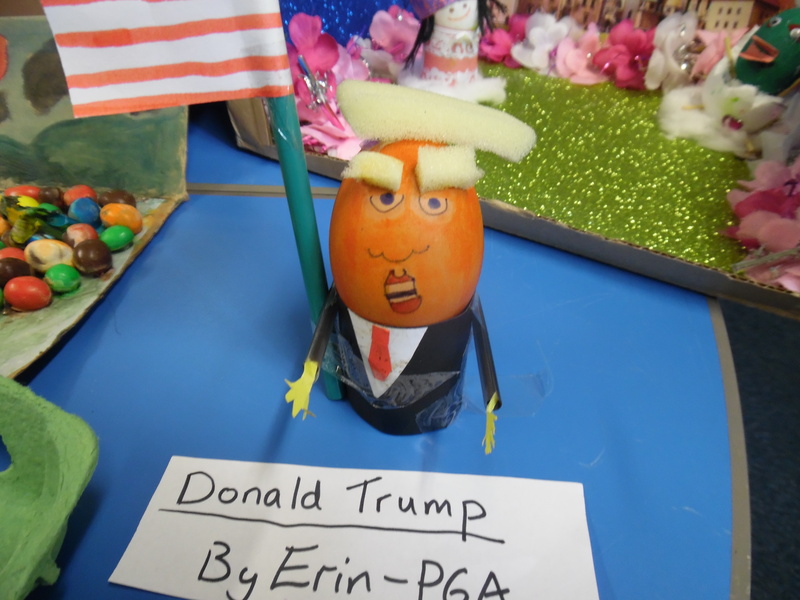 This entry was posted in Primary 4 16-17 on Feb 7, 2017 by Dalry Primary Edinburgh.